Stitchwerx Designs-Needlecraft Tips, Tricks & Patterns | Crochet, Sewing & More! The Swetty Betties March 2015 AD Challenge has come to a close. There were so many amazing designs released from the talented up-and-coming designers. Ready to win 32 FREE Patterns? 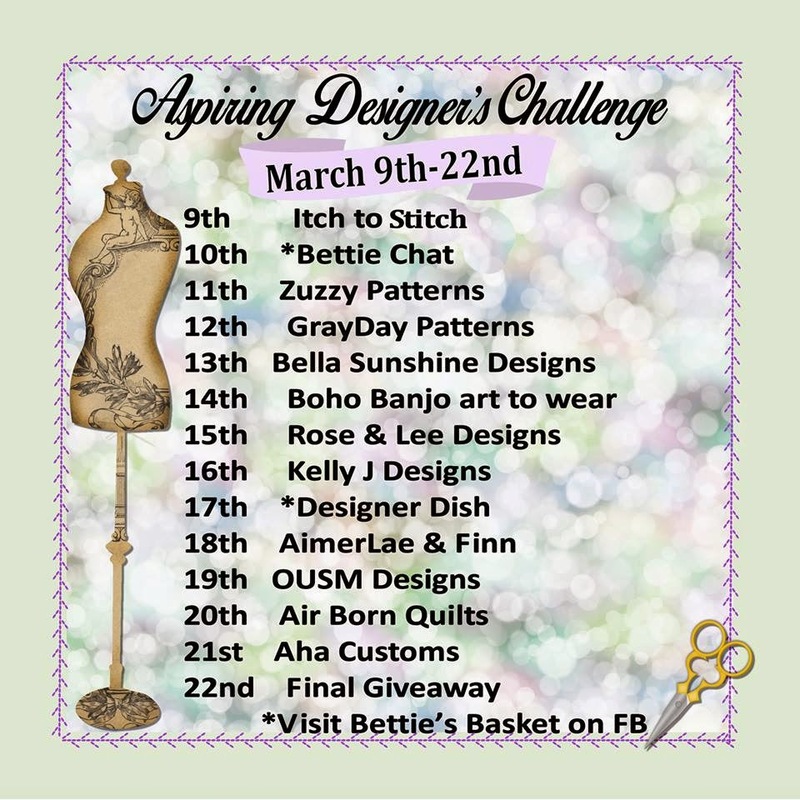 As part of the Grand Finale for the Betties March AD Challenge, you can enter to Win all the patterns from the AD Challenge Designers plus several more from other supporting Designers. If you would like to read more about each AD Challenge participant and their recently released pattern, use the following links to the original release post at Pattern Revolution. To learn more about the Betties group of designers, stop by the Betties Blog or Betties Basket and Promotions on Facebook. Happy Sewing! I am so lucky to be a mentor in the Shwetty Betties Designer Group. Who are these “Shwetty Betties” you ask? Well, Shwetty Betties is a group of relatively new and aspiring pattern designers who have joined together to support each other in their design endeavors. You can find their sales and promotion group here: Bettie’s Basket Sales and Promotions. The Betties have an Aspiring Designer’s (AD) Challenge four times a year and require all ADs to participate in at least two per year. I have seen so many marvelous designs presented in each AD Challenge to date. This month’s challenge is no exception! The March 2015 AD Challenge, hosted by Pattern Revolution is going on right now. To celebrate the release of their patterns, each designer has offered a special introductory or sale price. Be sure to stop by Pattern Revolution to learn more about these fabulous up-and coming pattern designers and visit their shops to take advantage of some absolutely amazing sale prices! 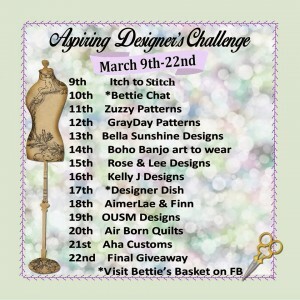 On March 22, 2015 the AD Challenge ends with a Big Pattern Giveaway! Stitchwerx Designs is just one of the many mentors and aspiring designers who are donating patterns for the big prize package, which is 32 Free PDF Sewing Patterns! I’ll be posting a link to enter the Giveaway on March 22, 2015, so please stop back by for that. If you would like to learn more about the Swhetty Betties, stop by Betties Blog. In the meantime, check out all the up-and-coming designers, and Happy Sewing!